We describe a rare complication given by tunneled central venous catheter (CVC) in a 95-years-old woman on chronic maintenance hemodialysis (HD). The cause of end-stage renal disease was hypertensive nephrosclerosis. She suffered from ischemic heart disease and mild cognitive impairment. Her weight was 85.9 Ib (39 kg), resulting in a body mass index (BMI) of 18.1 kg/m2. She started hemodialysis in 2002 at age of 79-years-old with a dialysis regimen of 3 hours and a half, three days a week. Dialysis was performed via right jugular tunneled CVC since the beginning of renal replacement therapy. Soon after the placement of CVC, a proximal native arteriovenous fistula (AVF) was created on the right arm but failed to support HD due to early fistula failure. Over the years, CVC occlusion leads to the replacement of the malfunctioning catheter after 3 and 9 years from its insertion. On evaluation, the skin over the cuffed tunneled catheter appeared "fenestrated" leading to the exposure of the underlying device, including the Dacron cuff. The skin covering the line was red and tender without any purulent discharge (Figure 1). The patient was asymptomatic, apyretic and without signs of systemic catheter-related infection. CVC was essentially well-functioning, although it was not anchored in situ due to lack of adequate ingrowth of fibrous tissue between subcutaneous tissue and the exposed cuff. The process of pressure ulcer development was asymptomatic and took place within 7 months. When we decided to exchange the catheter, given the high risk of infections and accidental catheter removal, caregivers refused the invasive procedure and, hence, CVC was left in situ. In order to prevent its accidental removal during the interdialytic period the catheter was secured by dressing using gauze and tape. The catheter was used to perform HD until February 2018 (13 months from the diagnosis of the ulcers), when the patient died of a sudden cardiac arrest. Pressure ulcers are a rare complication of tunneled hemodialysis catheters, a vascular access frequently used in chronic HD patients with AVF failure or not eligible for AVF fistula placement. Data on the prevalence of pressure ulcers in patients with a CVC are lacking. A single-center case series has reported a very low prevalence of this complication (1%) in a cohort of oncologic patients with venous totally implantable access ports . Etiology responsible for injuries is a prolonged pressure on skin and on underlying tissue by catheter . In our case, this process has been aggravated by subcutaneous adipose tissue loss, a body composition change commonly seen in severely malnourished and very elderly patients . The best way to avoid catheters-related pressure ulcers is periodic catheter site rotation . Since this procedure is unfeasible with tunneled CVC, prevention relies on the placement of native or graft AVF that have been associated with lower rates of complications, morbidity, and mortality compared to CVC . Treatment choice of catheters-related pressure ulcers is CVC replacement with a creation of new tunnel. This procedure reduces the risk of catheter-related bloodstream infections and accidental catheter removal, which may expose the patients to life-threatening venous air embolism and/or hemorrhagic events. The authors have no conflicts of interest to disclose. 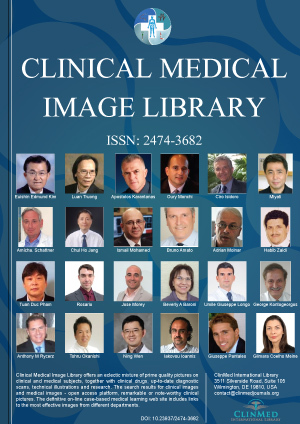 The authors declare no funding sources. 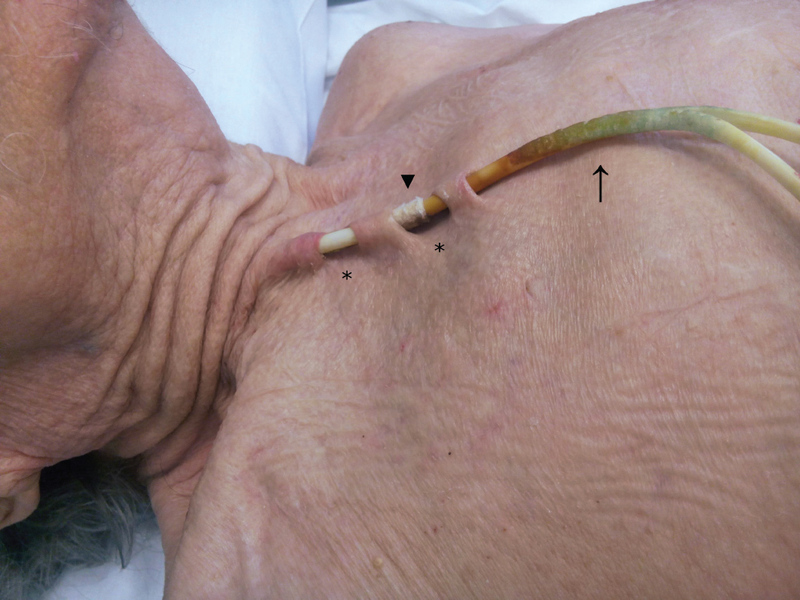 Figure 1: Pressure ulcer due to tunneled central venous catheter for hemodialysis. The skin over the catheter was �fenestrated� (asterisks) with the exposure of the Dacron cuff (arrowhead). Discoloration of catheter (arrow) was related to the use of topical disinfectants. Charvát J, Linke Z, Horáèková M, Prausová J (2006) Implantation of central venous ports with catheter insertion via the right internal jugular vein in oncology patients: Single center experience. Support Care Cancer 14: 1162-1165. Agrawal K, Chauhan N (2012) Pressure ulcers: Back to the basics. Indian J Plast Surg 45: 244-254. Litchford MD, Dorner B, Posthauer ME (2014) Malnutrition as a precursor of pressure ulcers. Adv Wound Care (New Rochelle) 3: 54-63. Black JM, Kalowes P (2016) Medical device-related pressure ulcers. Chronic Wound Care Management and Research 3: 91-99. Alfano G, Fontana F, Iannaccone M, Noussan P, Cappelli G (2017) Preoperative management of arteriovenous fistula (AVF) for hemodialysis. J Vasc Access 18: 451-463. Dr. Gaetano Alfano, University Hospital of Modena, Via del Pozzo, 71, 41124, Modena, Italy. © 2018 Alfano G, et al. This is an open-access content distributed under the terms of the Creative Commons Attribution License, which permits unrestricted use, distribution, and reproduction in any medium, provided the original author and source are credited.